31st May 2016 at 00:30 (IST). French national squad is very talented as they young energetic players and experienced ones too. In the goal we have Tottenham’s Hugo Lloris who has had excellent season in the Premier League this season as he kept 13 clean sheets, the second best after David de Gea, then we have O. Marseille’s Steven Mandanda who also had a good season in the Ligue 1 with 9 clean sheets to his name. In the defense we have players like Patrice Evra, Koscielny, Raphael Varane, Adil Rami, then their midfield is particularly talented with players like Juventus’s Paul Pogba who has an excellent season in the Serie A, then we have Dimitri Payet who also had a great season with West Ham United in the Premier League, then we have Blaise Matuidi, N’Golo Kante who was in the Premier League winning side Leicester City and the young Kingsley Coman who plays in Bayern Munich. The in the attack we have a lot of talent with players like Antoine Greizmann, who has scored 22 goals in the league, the we have Olivier Giroud and the young Anthony Martial who has proved his worth in Manchester United and has a brilliant future. 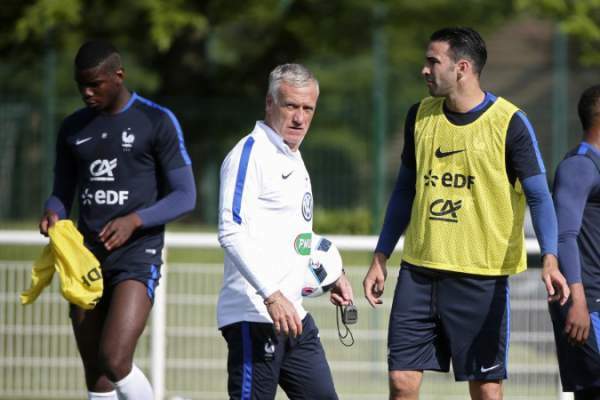 In their last five International Friendlies, France has won four and lost one. Cameroon won against Niger in the qualifying stages by winning the first leg by 0-3 and drawing the second leg. They will need to put up a very strong performance against France if they want to win the game. Lloris, Sagna, Varane, Sakho, Evra, Kante, Lass Diarra, Pogba, Griezmann, Gignac, Martial. Ondoa, Guihoata, NKoulou, Chedjou, Bedimo, Mbia, Mandjeck, Moukandjo, Choupo-Moting, Salli, Etoundi. India: Sony ESPN and Sony ESPN HD. UK and Ireland: No telecast. US: ESPN 3 USA. Live Stream on Watch ESPN.